The Dolby Theater was home to the 2018 Oscars last night. While the ceremony celebrated gender equality, inclusion and the industry’s brightest talent – in front of and behind the camera – the biggest winners were the viewers at home who got to see some absolutely dazzling red carpet looks and elegant styles grace the stage. CHI Artist Anna Cantu has some pro tips and tricks for those who want to channel Jennifer Lawrence’s tousled texture, Zendaya’s chic updo or Lupita Nyong’o’s gorgeous and intricate style. 1.) Spray CHI Dry Shampoo on the scalp area. First is sectioning ear to ear, that’s your largest section. Next is creating a center part down the middle to the top of the crown. Once you do this it will create 2 sections. 3.) Taking square 2”sections spray CHI Infra Texture spray and wrap hair around a Dura CHI 1” curling iron for 15 seconds for each strand. Continue to create these soft spring waves on the entire back section. 4.) On the side section, still take the 2” parts but make sure to curl away from the face. 5.) Once completed, apply CHI Texture Spray to expand and create movement throughout the hair. For added volume you can tease the inside of the hair by running your fingers through the strands. 1.) 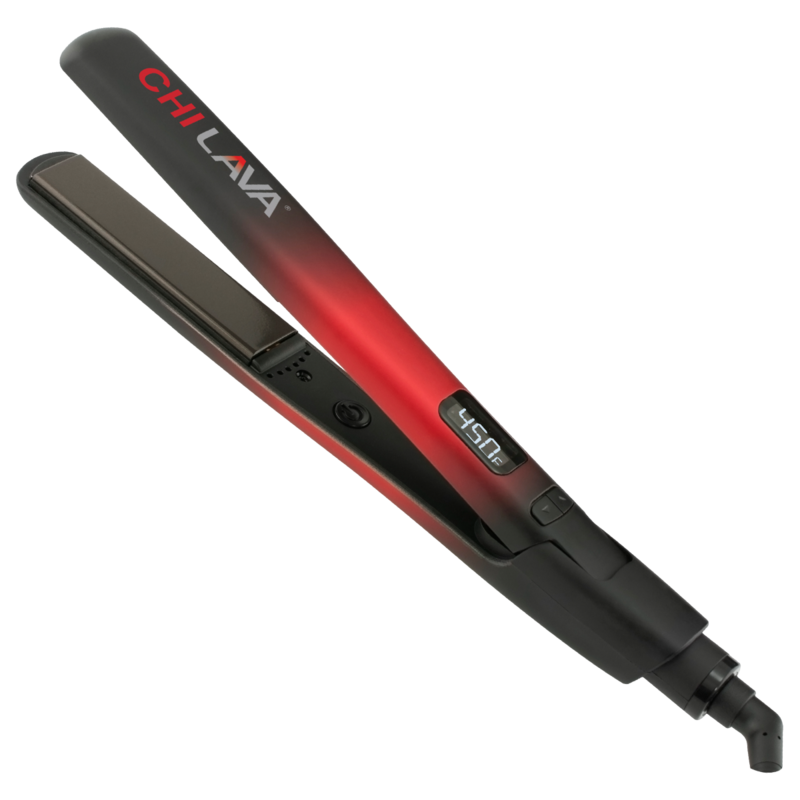 Begin by applying CHI Silk Infusion and begin to straighten the hair with your CHI LAVA 1” Hairstyling Iron. Since we need to start with smooth, silky hair and these two items will help us achieve that initial look. 2.) Once straightened, start to gather toward the top of the crown – brush and smooth the hair with a CHI Backcomb Brush. To control the hairs, create a CHI Cocktail with CHI Pliable Polish and CHI Silk Infusion. 3.) Once you have a good smooth, sleek pony, secure it with an elastic band. Next, apply CHI Enviro 54 Hairspray – Firm Hold to the scalp area only and brush to perfect the pony. 4.) Using the CHI Cocktail again, start to softly twist the pony clock-wise to create a bun. Once completely wrapped, start to lift the front view of the bun to create a more vertical bun. Pin and secure. 5.) Spray CHI Helmet Head Hairspray to lock in the style. 1.) This intricate up style starts with a diagonal zig-zag part. Begin with the left eyebrow part to the opposite ear point for section A, then front this point go across to the other side of the ear for Section B, the remainder will be Section C. 2.) Using CHI Silk Infusion and CHI Twisted Fabric create a medium hold CHI Cocktail and begin with section A – start at the eyebrow point and turn inwards into a twisted cornrow. Twist and secure with bobby pins until this section is completed. *If you have more hair to pin, curl inwards to secure within the twist. 3.) On section B, continue with a twisted cornrow but now start at the top and proceed in a downward motion – twist and pin to secure. 4.) Section C is coiled upwards in the same twisted cornrow pattern. When lifted, this will create a more balanced upstyle, leaving all the intricate motion in the front. 5.) Spray and secure with CHI Helmet Head Hairspray. 6.) Take a fun colored thread-and-hook needle and carefully begin to create a double loop pattern on the twisted cornrows. This will add dimension and a fashionable look to this creation. 7.) Finish with CHI Shine Infusion for added shine to finish off this amazing look.